Apple this morning released the second beta of iOS 12 to developers, and as expected, there are tweaks and changes to many of the new features introduced in iOS 12. 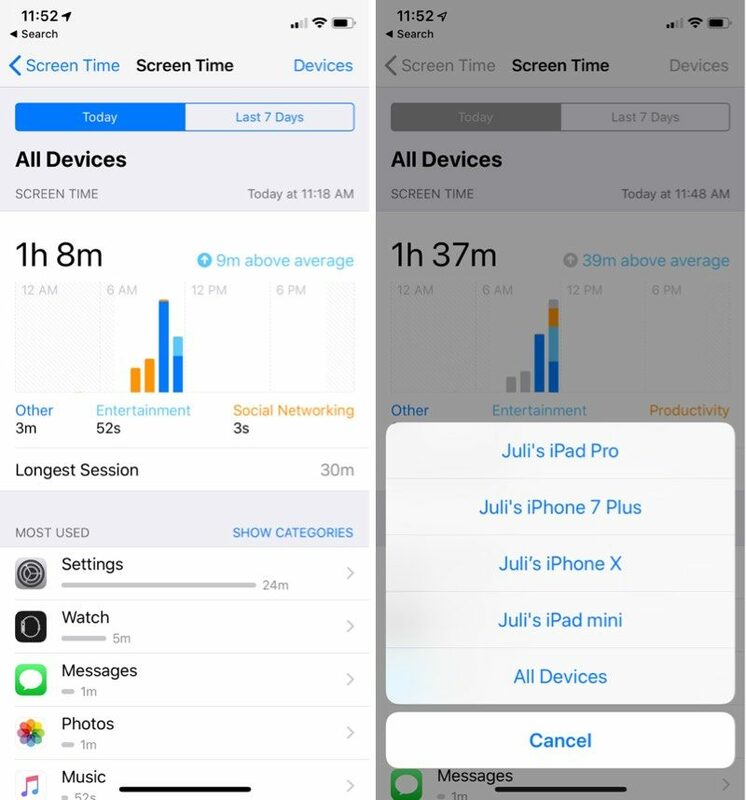 Changes to Screen Time include new options to sort by device and view additional details on a per app basis, while tweaks made to Battery Usage make it easier to see which apps are eating up battery. There are several other smaller changes in iOS 12 beta 2, which we've listed below. 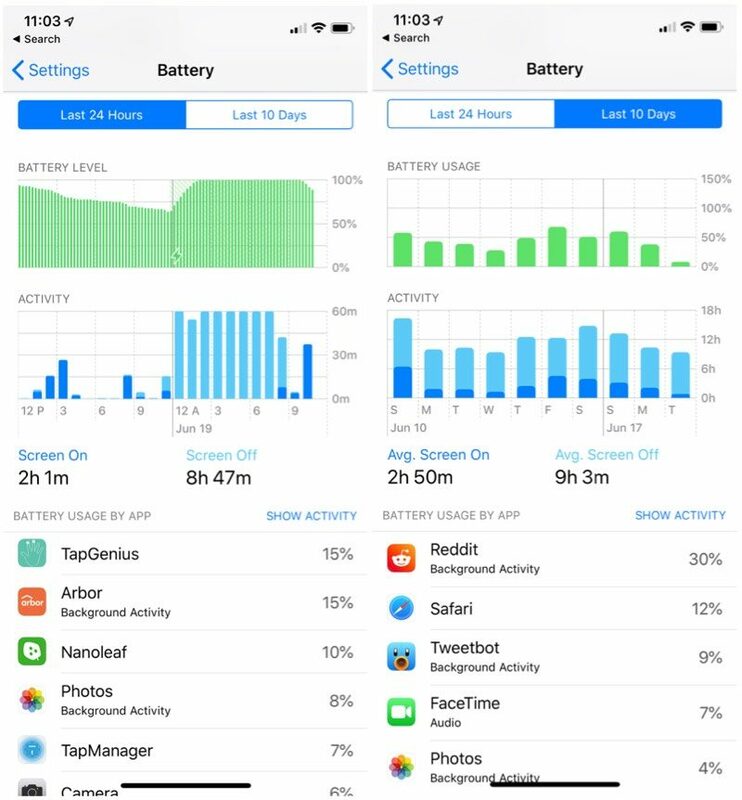 - Battery Usage - The charts for activity and battery level for the last 24 hours have been redesigned in iOS 12 beta 2, and some of the wording has been updated in this section. 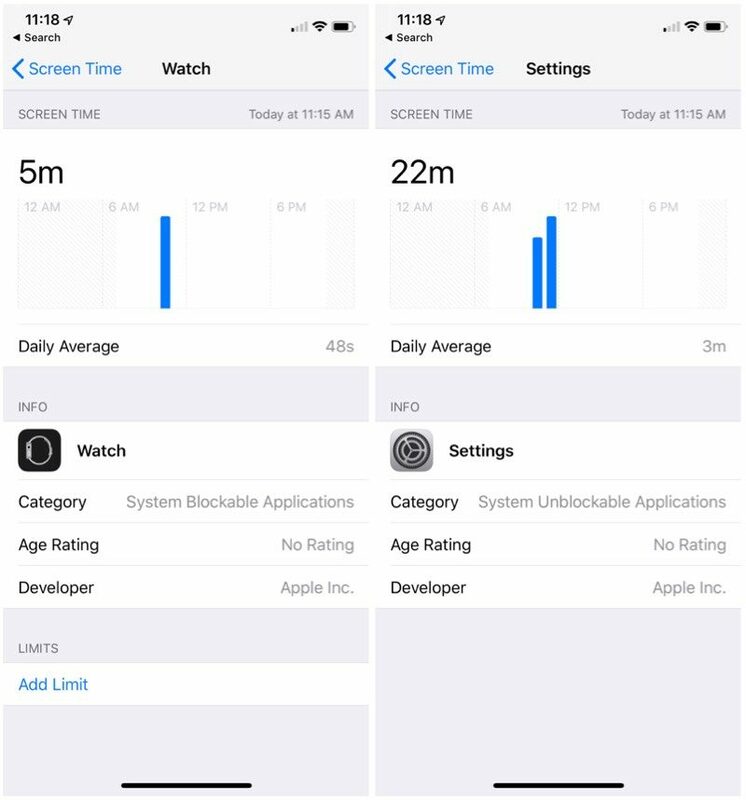 - Screen Time - Apple has removed a toggle for clearing Screen Time data, and the interface for adding time limits to apps from the main Screen Time screen has been tweaked. In the first beta, when you tapped an app it went right into the limits interface, but now tapping on an app displays more info on the app, including daily average use, developer, category, and more, and lets you tap to set a limit. There's also a new splash screen when opening Screen Time for the first time. - Screen Time By Device - There's now an option to view activity on a single device or all devices. - Notifications - There's a new toggle in the Notifications section of the Settings app that allows you to toggle off Siri Suggestions for individual apps. In iOS 12, Siri makes suggestions about limiting the notifications you receive from apps that aren't often used. - Password AutoFill - There's a new interface for autofilling a password saved in iCloud Keychain. - Voice Memos - There's a new introductory splash screen for Voice Memos in iOS 12 beta 2. - Face ID - When unlocking content using Face ID, the iPhone X now says "Scanning with Face ID." - Photos - The text size for the "Media Types" and "Albums" listings in the Photos app is now much bigger, making it easier to read. - Photos Search - In iOS 12 beta 2, Photos appears to support more advanced searches. For example, if you search for a specific date like July 10, it will show all photos from all years taken on July 10. This is different than the behavior in iOS 12 beta 1. 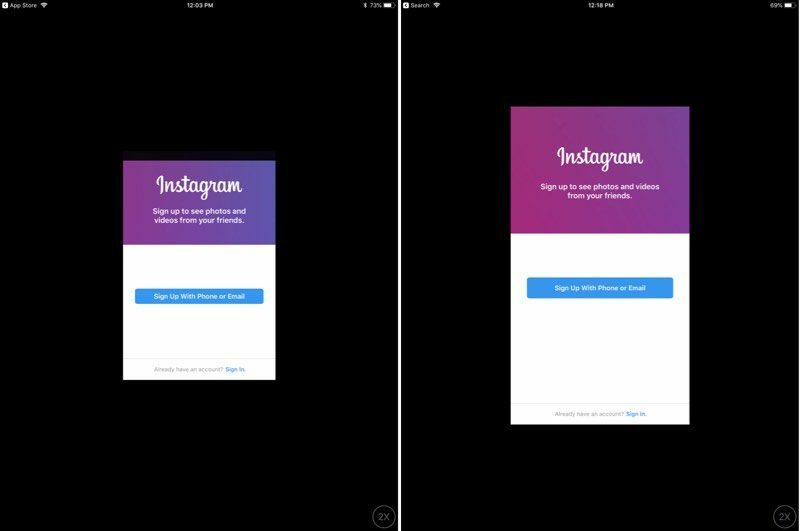 - iPhone apps on iPad - When you open iPhone apps on the iPad, like Instagram, they're now displayed in a modern device size (iPhone 6) in both 1x and 2x mode. The Weather widget is not functional. Universal Links might not open the expected target app. Netflix might unexpectedly quit when downloading a video. 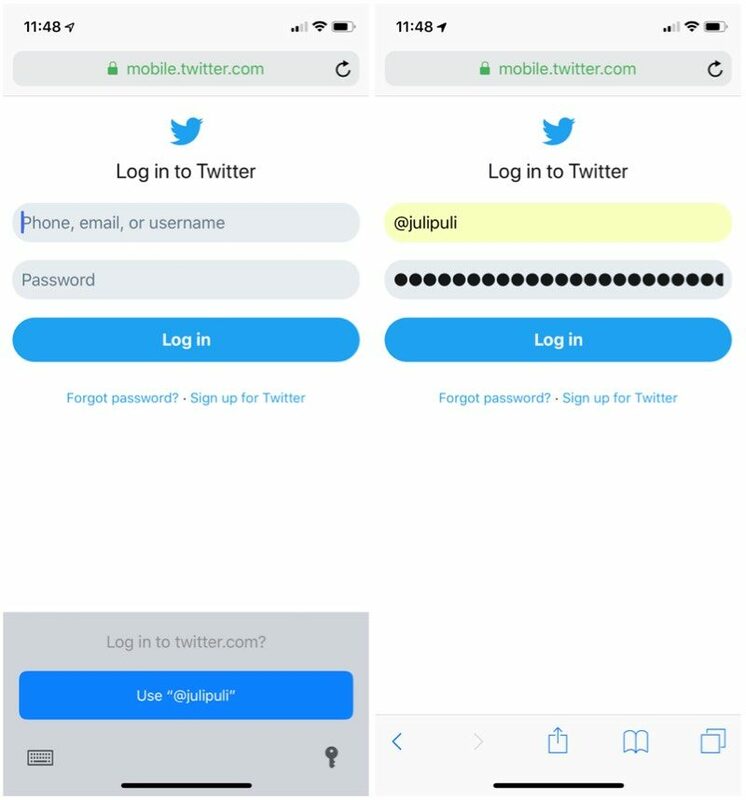 Twitter might display a blank login screen. Playback might not pause when one AirPod is removed from your ears. CarPlay might not connect to certain vehicles. Group FaceTime calls can't be initiated between iOS 12 beta 2 and iOS 12 beta 1. FaceTime calls may also be interrupted by a poor connection message, and FaceTime might unexpectedly quit. Screen Time must be re-enabled after installing iOS 12 beta 2, and all Screen Time settings are reset after updating. Voice Memos might not sync between devices even when iCloud syncing is enabled. iOS 12 is limited to developers at the current time, but Apple has promised a public beta for its public beta testing group before the end of June, so we could be seeing a public beta as soon as later this week. But did they fix the stupid volume setting screen hog? How can I become a developer to try the betas. I can't wait until the fall. Thanks. You need to pay $99 a year to gain developer access. And be aware that you will have to deal with lots of bugs and other issues. Many apps won't work or will crash frequently. That's all just part of being a developer and using beta software. You can also wait until the end of this month and sign up for the public beta program. They get access later than developers but it's free. Keep in mind you will still have to deal with frequent crashes, bugs, battery drain, non-working apps and other issues that are just part of a beta. If they’re bothering to update the copy, that signals their intent. How do we have battery usage over 100%? I mean, why is it necessary to show the vertical axis ranging from 100% to 150%? If the iPhone lasts 10 hrs of non stop usage and I recharge it for 4 hrs and then use it non stop for another 10 hrs, that's 200% usage in one day. Did they fix the GPS issue? I didn't know iPads still showed iPhone apps in the legacy screen size. This seems like a real improvement. Is this option new too? Starting a Facebook live screencast from control centre. It's not, this was in iOS 11.